Video Villa is a very comfortable family villa with 4 bedrooms and a separate guest house for 2 more adults and extra possibility for 2 children. 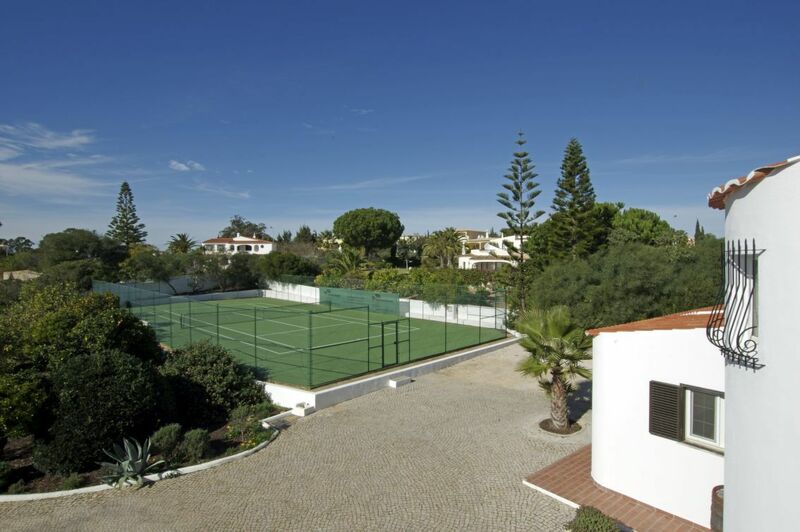 This fully renovated property is situated on a plot of over 3200m2 and even has its own tennis court! 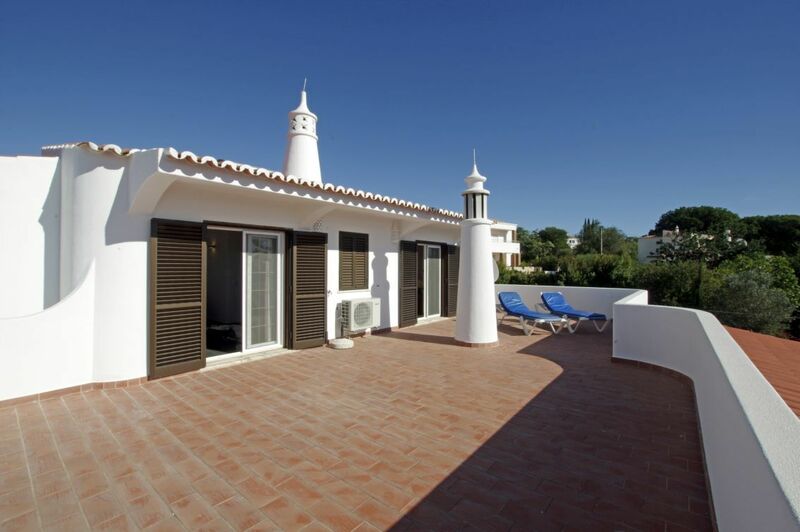 The house has a large swimming pool where you can lay dow on one of the sunbeds. The house also offers enough shade for the warmer days too. 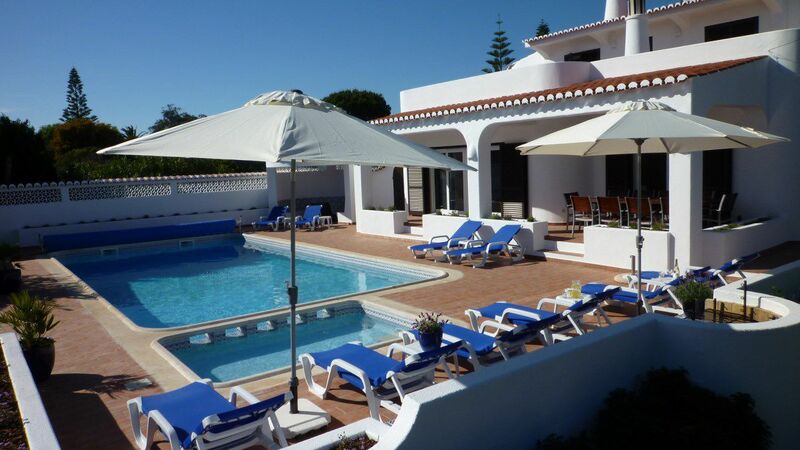 Villa Video is located just 1200m from the beach and the lively center of Carvoeiro. A perfect destination for larger groups up to 12 people! Pools: 1, the pool is heatable against extra charge. The pool will be cleaned 2x per week. 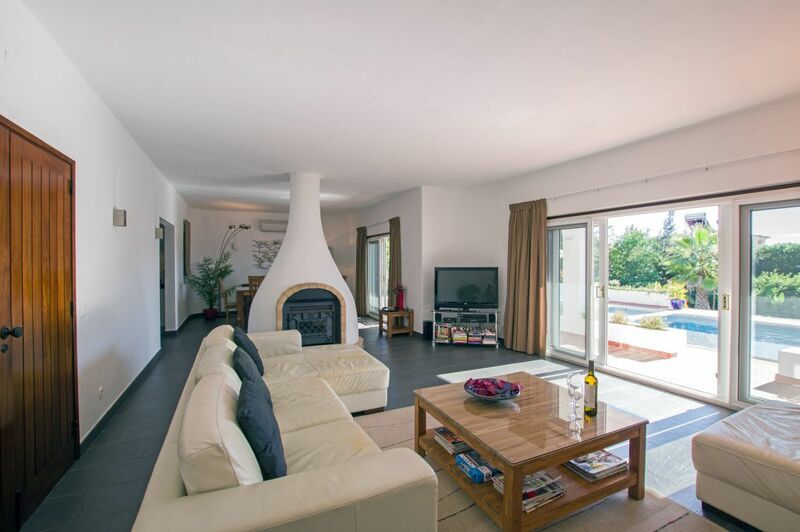 The large and cozy living room (48 m2) with very special fireplace, seats 10 people and is equipped with a flat screen and a music system. The 2 french doors leading to (covered) terrace. There is also a separate dining area with a comfortable furniture. 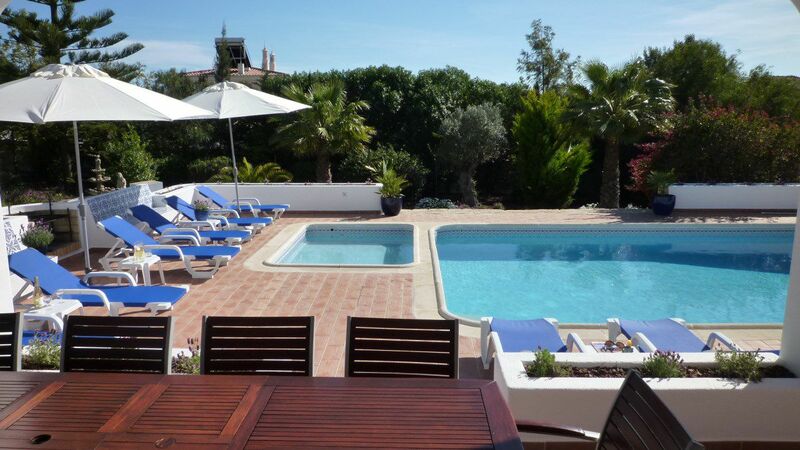 From here you can directly go to the kitchen or to the terrace around the pool. 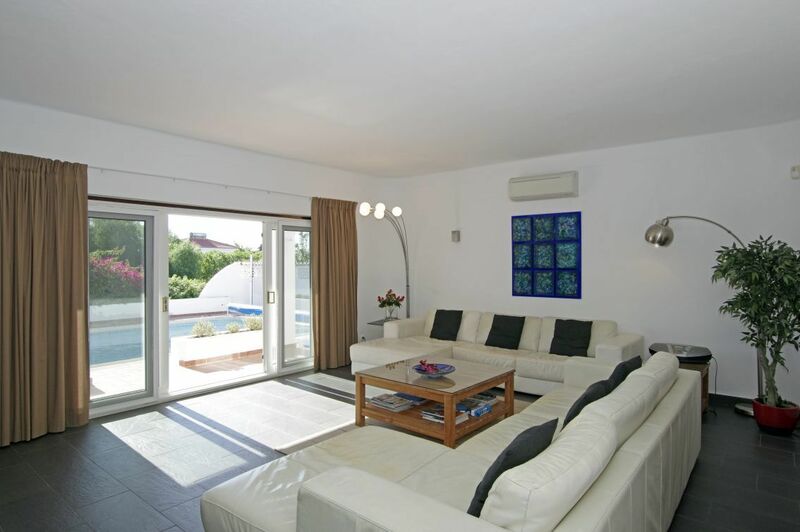 This spacious villa has 4 bedrooms and 1 in the guest studio. 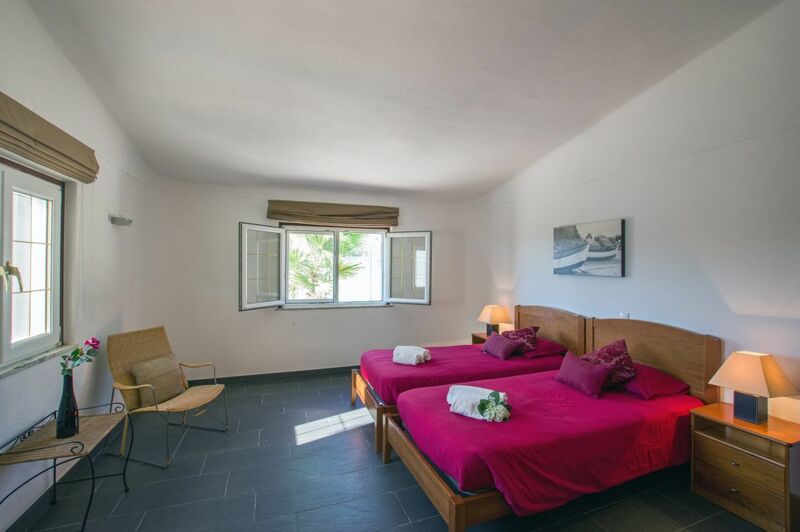 3 bedrooms in the villa are situated on the ground floor and 1 bedroom is located on the 1st floor and has a beautiful private terrace with sea view. 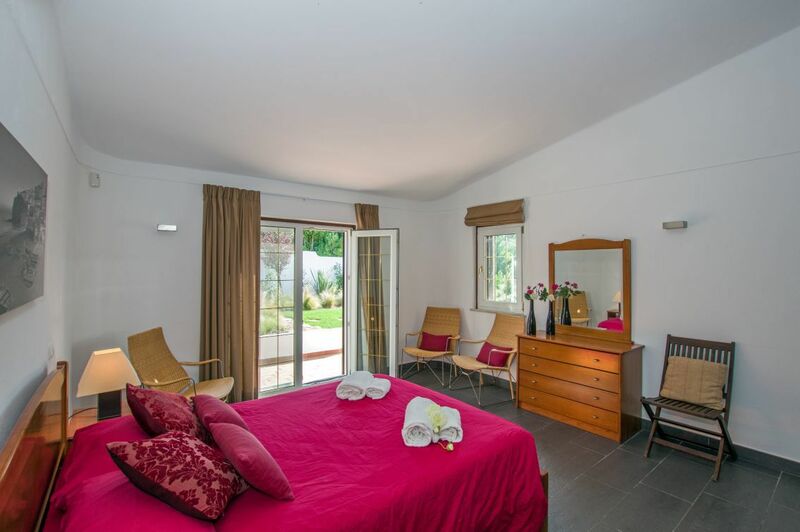 The villa has 3 modern bathrooms of which 2 ensuite. 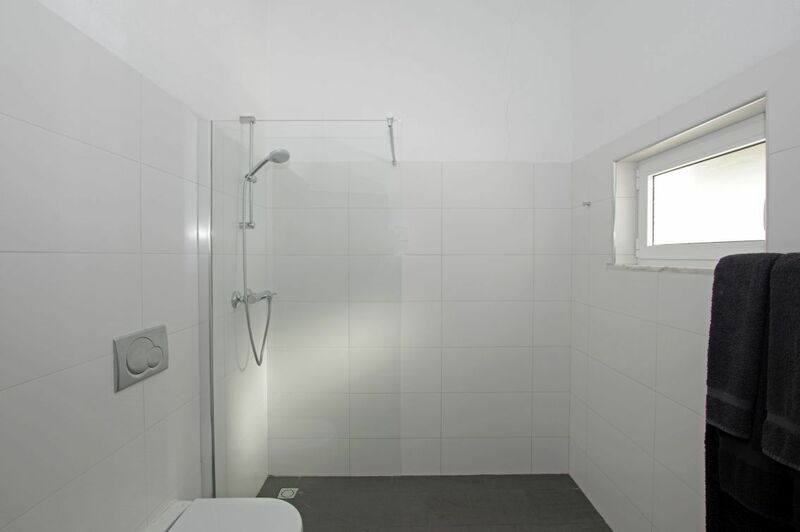 There is also a single toilet on the groundfloor. 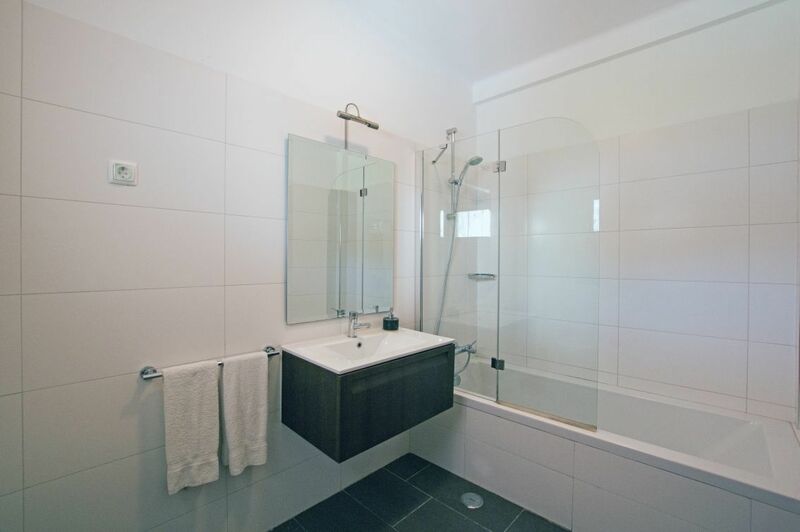 The guest house features a private bathroom with shower, toilet and a single sink. 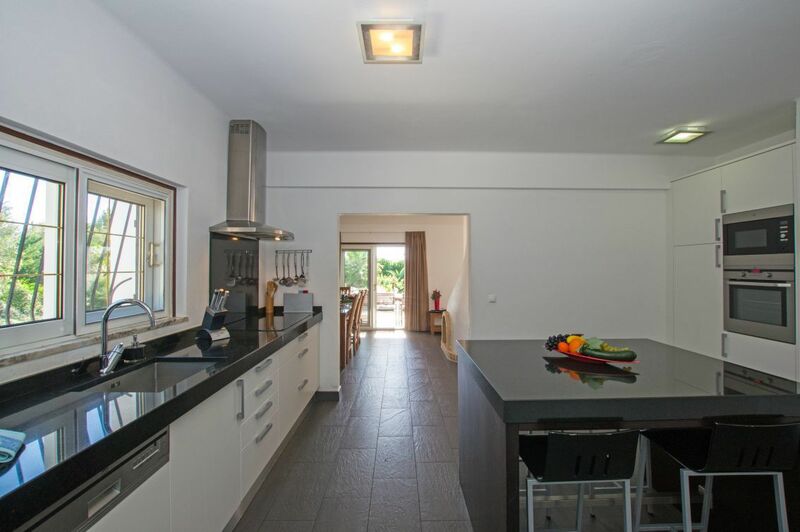 The spacious and modern kitchen (19 m2) is equipped with a granite worktop, a 4-burner gas hob, extractor, dishwasher, oven, microwave, fridge/ freezer and a fixed table with granite countertop and bar stools. You certainly can prepare your favorite meal in this comfortable area! When you enter the house on the driveway you will see many oleanders, palm-, olive- and citrus trees. The beautiful landscaped garden (2009) with lawn, offers a variety of plants and trees and has a sheltered terrace with pergola and a classical fountain. The (heated) pool is 5.15m x 10.25m. 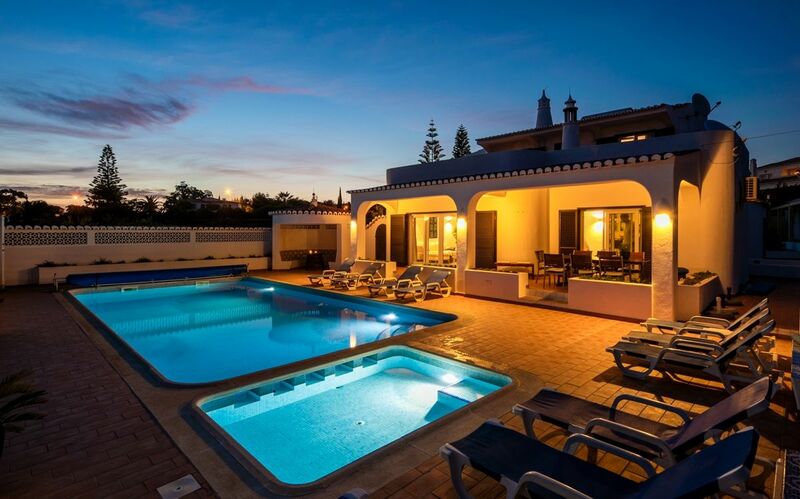 For the younger guests there is a children's pool (2.0m x 2.90m). For cooling and refreshment there is also an outdoor shower. And what is a holiday without a barbecue around the pool? 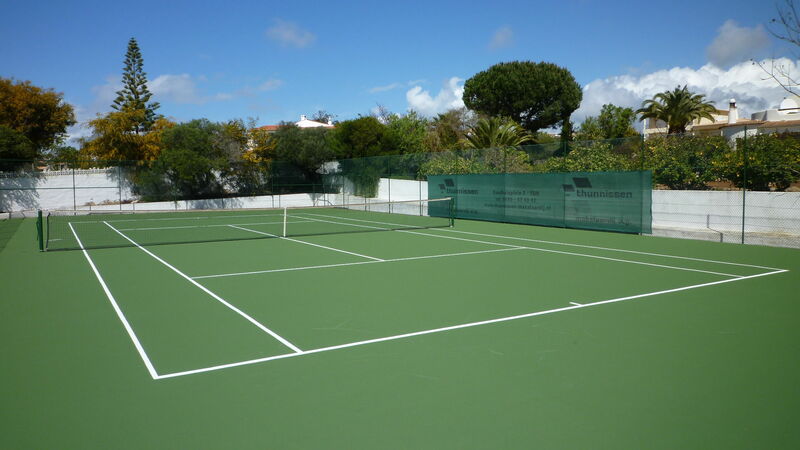 For sports enthusiasts: one of the highlights of this villa is the private tennis court! 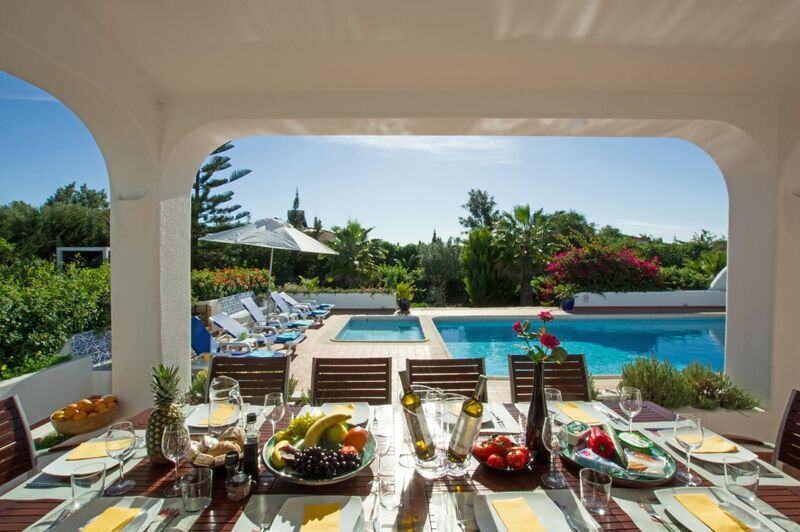 Within just a few minutes drive you are in the charming village of Carvoeiro with its restaurants, bars and shops. The authentic Ferragudo is a nice place to visit, also on a short distance. 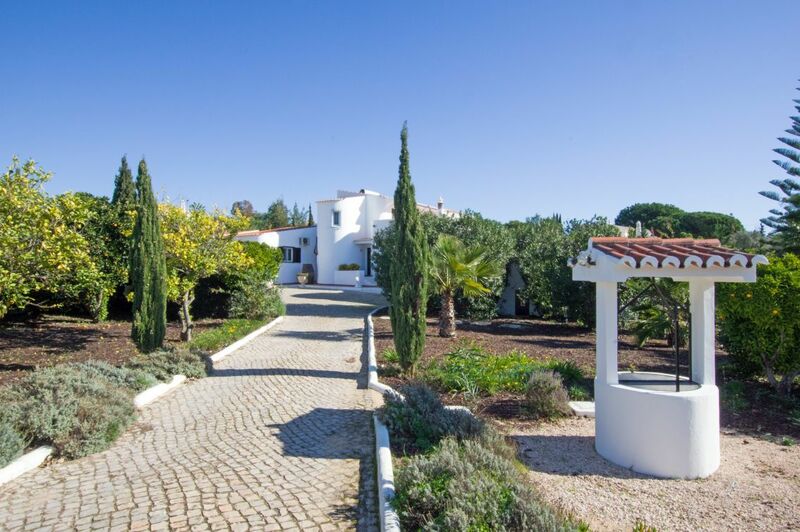 Villa Video is nearby the golfcourses of Gramacho and Vale da Pinta. And of course there are several beaches within easy reach. 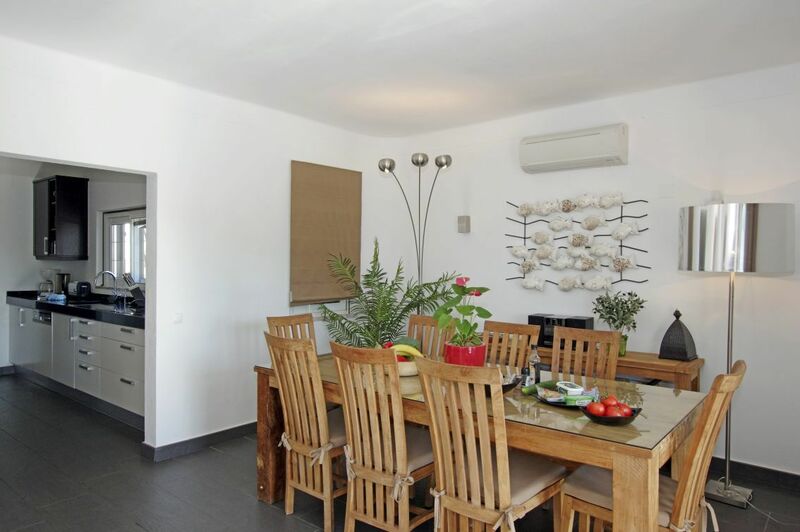 - Substantial discounts for winter lets (= 3 weeks or more continuous rent). 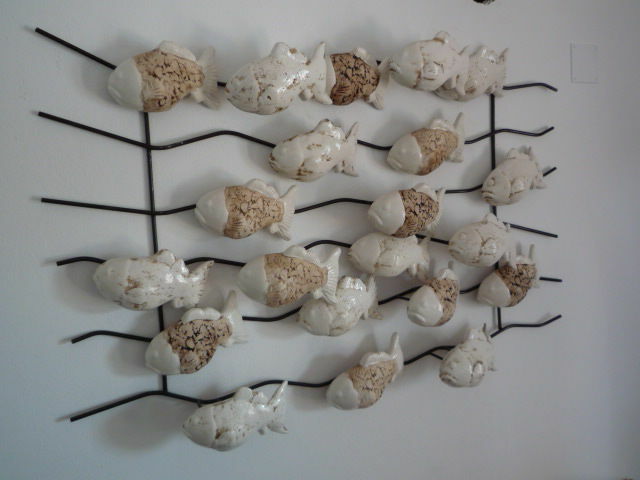 - Price per 8 people, per week. Een prachtige accommodatie in een prachtige omgeving met prachtig weer. Hebben hier in de periode van 22/9 t/m 29/9 2018 een heerlijke week vakantie gehad met ons kinderen en kleinkinderen, 8 volwassenen en 2 kinderen. Genoten hebben we van het huis, het zwembad, de tennisbaan, de tuin, de omgeving en natuurlijk van elkaar! Vooraf en ook ter plekke regelmatig overleg gehad met de beheerder, heel prettig allemaal! Kortom voor ons een dikke tien! !